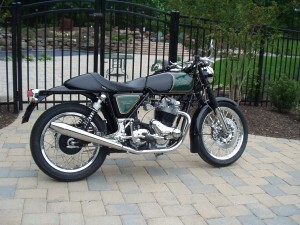 Nation's Capital Norton Owners is a club dedicated to the preservation of Norton motorcycles and the joys of Norton motorcycle ownership. 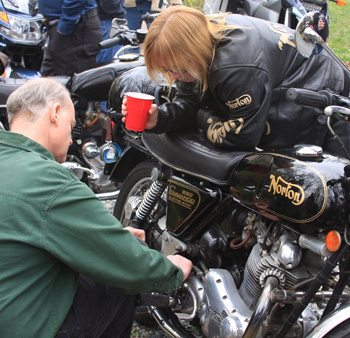 NCNO is located in the Washington, D.C. area, and is a local chapter of the International Norton Owners Association (INOA) and a chartered American Motorcyclist Association (AMA) club. There are monthly meetings, held on the second Sunday. There are regular rides, a yearly rally, called Rolling Thunder, held the weekend after Labor Day in September, and other club events. 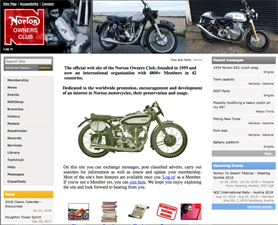 NCNO has been in existence since 1982, and currently has over 100 members. Our newsletter is delivered to members' email inbox every month. Live near the Nation’s Capital? Trying to find parts or someone to help you work on your machine? Looking for someone to ride with? You’ve come to the right place. Join Us. Only $20 per year gets you a monthly newsletter, rides, meetings, and more. Renewal is just a click away. Click the 'Pay Now' button for $20 NCNO PayPal membership renewal. Don't find yourself on the dreaded Deadbeat List. More info on Events page . . .